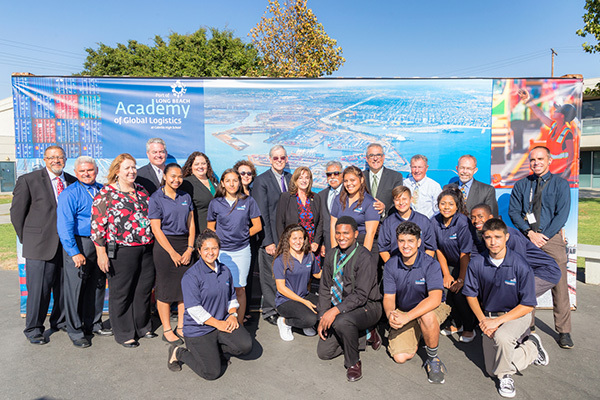 Local officials earlier this month launched the Port of Long Beach Academy of Global Logistics at Cabrillo High School, opening a new pathway to careers in international trade for young students in the city. The four-year academy, conducted in partnership with the Long Beach Unified School District, was announced in May. The “linked learning” school brings together college prep academics, demanding technical education and work-based training opportunities that prepare students for success in college, their careers and life. 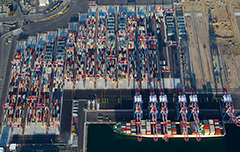 The Port of Long Beach PHOTOGALLERY runs through Oct. 30 at the Museum of Latin American Art, www.molaa.org, 628 Alamitos Ave., Long Beach. The program features the work of more than 60 amateur and professional photographers who attended a workshop and then captured images aboard a cruise through the Port. 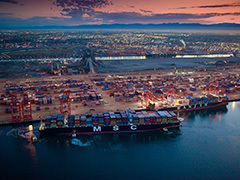 Three winning photos were selected by the Arts Council for Long Beach. Read more here and see the photos online here.